The first time you get lip fillers you will have many questions and many people wonder about how long lip fillers will last or if they will suddenly deflate or disappear?! First off if you are worried your doctor should alleviate all of your fears in your consultation before any treatment takes place but maybe I can help right now! For starters Hyaluronic acid lip fillers are not permanent but there are a few factors that will affect how long your lip fillers last. 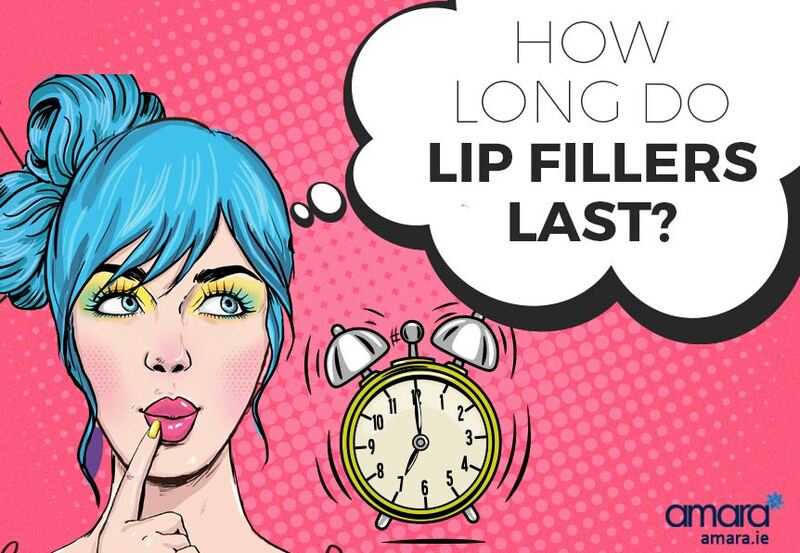 There are a number of factors which determine how long lip fillers last and these are outlined below. Yes this may sound strange but being some what of a blabber mouth can actually make your filler dissolve quicker! Pulling other facial movements like duck lips, pouting or even blowing kisses can slowly dissolve the filler quicker! 2. What Lip Filler is being used? Currently the longest lasting Lip Filler is available is the Juvederm Vycross range. Juvederm is also one of the most technologically advanced on the market and has the most money invested in research and development. Juvederm lip filler lasts for an average of 12-18 months depending on the person, unlike many fillers which only last 6 months. 3. How good is your immune system? Although Hyaluronic Acid is found naturally in the system some of our immune systems are better at detecting foreign substances. If you never get sick, chances are you have a great immune system and your body will work harder to remove the filler. Whereas others can get lip fillers and still see the effects years later! 4. Who is your Doctor? Doctors usually have a different technique on how and where they inject the filler, filler that has been added to the Vermillion border seems to last the longest. Also filler that has been injected deeper into the lips won’t last as long as filler that has been injected closer to the surface. 5. How do you See yourself? On top of everything the biggest factor seems to be how you see yourself. Everyday we look at ourselves in the mirror and miss the subtle changes that occurring daily. Think about how you may not have seen someone for a long time and how they may have lost weight. They may seem surprised as they have not even noticed. The same happens with our Lips, as we see them everyday it is harder to notice a subtle difference. We also become used to our new fuller lips and forget what they were like before, after a few months you may think your filler has worn off however when you compare it to your original before picture there is still a noticeable difference. So, how do you feel about lip fillers? Now that you know how long they last why not book in for a consultation?! Give us a call on +353 1 676 1074 or contact us online!